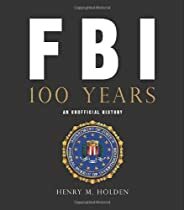 On the eve of the FBI’s centenary, this book offers the first comprehensive illustrated account of the Bureaus 100-year history. Granted unprecedented access to the FBI headquarters in Washington, D.C., and academy at Quantico, Virginia, author Henry M. Holden presents a rare inside view of the agencys workings, as well as a compelling, closely observed picture of its ever-changing role, powers, notable cases, and controversies through the years. FBI 100 Years chronicles the Bureaus successes and failures from its early days as Teddy Roosevelts trust-busting detective force to the increased emphasis on counterterrorism the post 9/11 world. Along the way, Holden revisits the gangster era and the days of McCarthyism, the unmaking of the Mob, and the disastrous standoffs at Ruby Ridge and Waco. The famous and the infamous make their appearances in the story, colorful characters such as John Dillinger and “Machine Gun” Kelly, J. Edgar Hoover and turncoat spy Robert Hansen. With added features including an exploration of the 200 categories of federal crimes that fall within the Bureaus purview, all the FBI Ten Most Wanted Fugitives lists since the first in 1949, and an entertaining look at the FBI in popular culture, this is the most thorough and authoritative book ever written about the principal law enforcement arm of the United States Department of Justice. It is truly the first book to do justice to the worlds most famous, but actually little-known law enforcement agencies in the world.